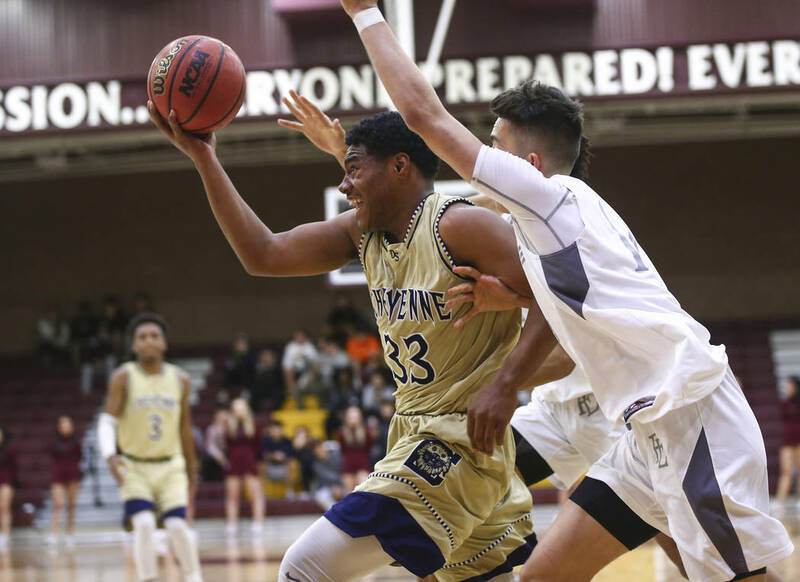 Cheyenne hardly missed in the first half on its way to an 88-79 win at Faith Lutheran in the second round of the Mountain Region playoffs. 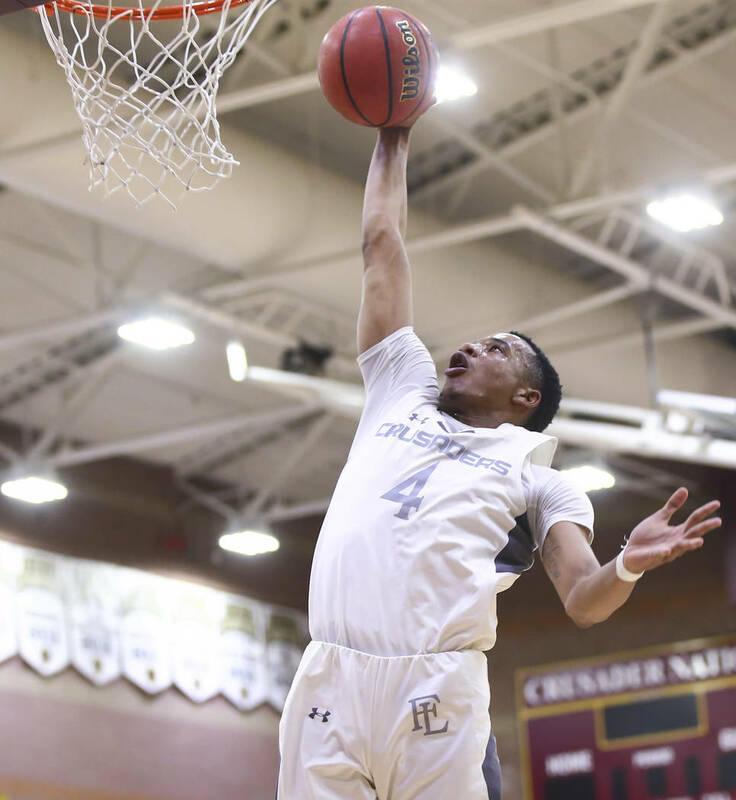 The Desert Shields (12-14) will visit Legacy (16-10) in a quarterfinal at 6:30 p.m. Friday. 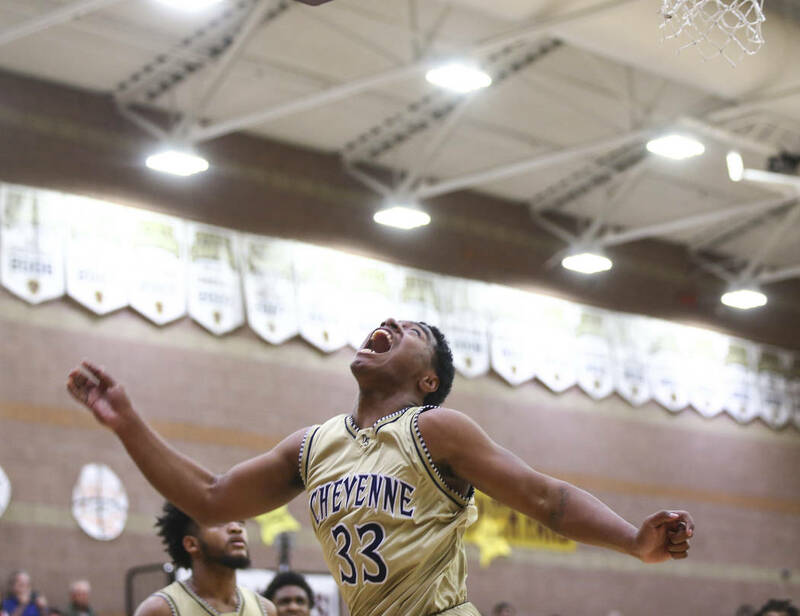 Officially, the postseason started Wednesday for Cheyenne’s boys basketball team. The Desert Shields, though, have spent the past two weeks playing as though the postseason already had started. It led to an extremely focused effort in the first half. Cheyenne made 17 of 27 shots in the first half. 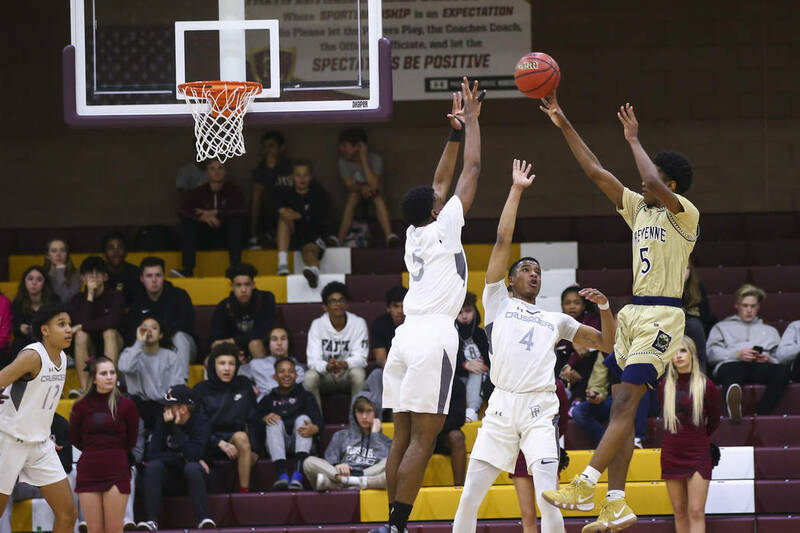 Of the 10 misses, five led to second-chance baskets as the Desert Shields built a 43-27 halftime lead. 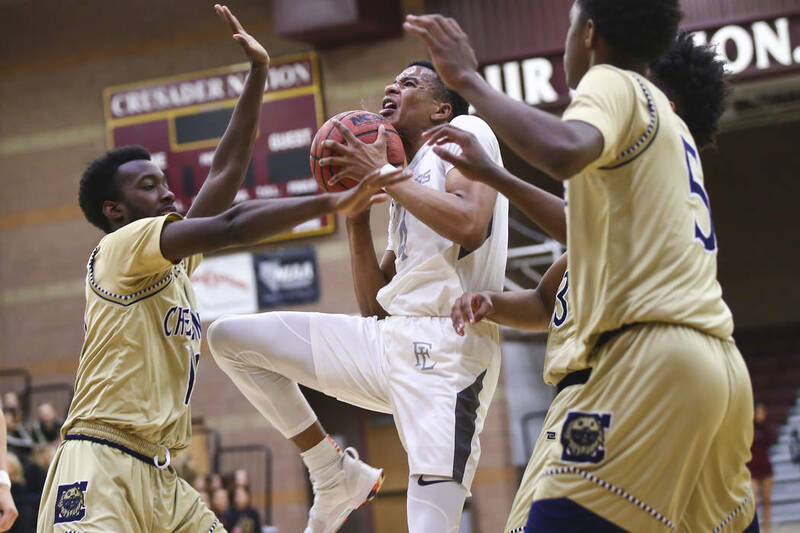 If not for eight second-half turnovers, the Desert Shields likely would have had a larger lead. Cheyenne also did well to disrupt the Crusaders’ offense in the first half. 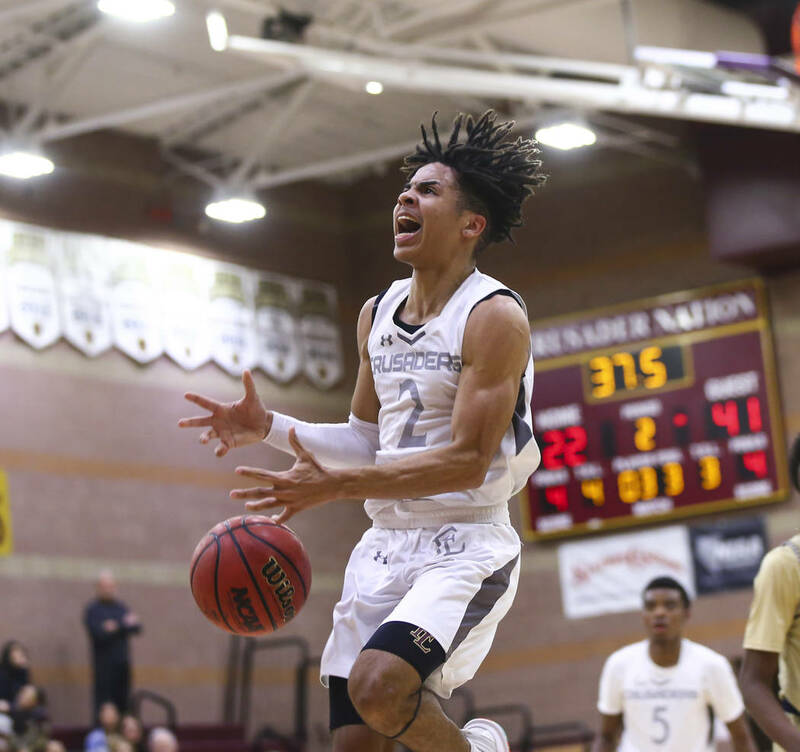 Faith Lutheran leading scorer Brevin Walter, who averages 18.8 points, had two points in the first half. “The kids did a really good job of executing our defensive game plan,” Fair said. 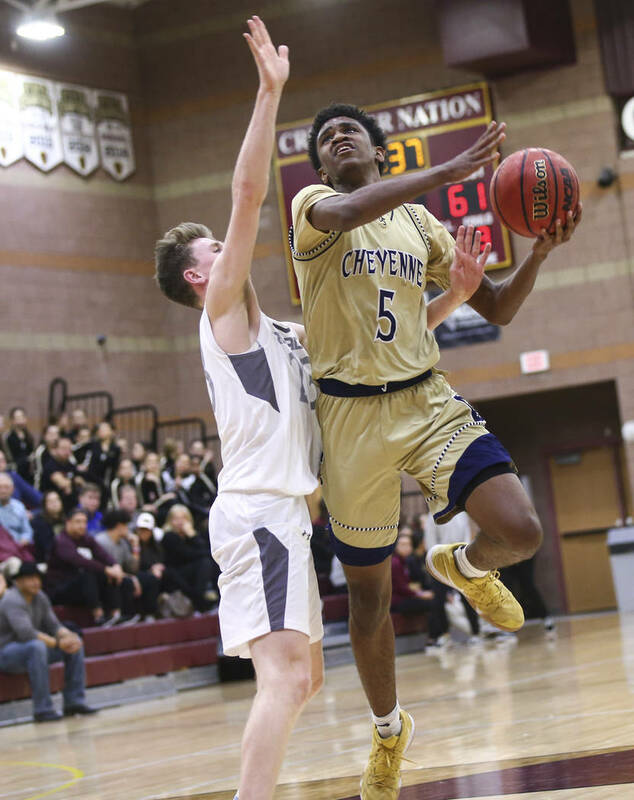 Cheyenne ran its lead to 69-46 after three quarters before Faith Lutheran (17-9) cut it to 85-79 on Walter’s left-corner 3-pointer with 19 seconds to play. 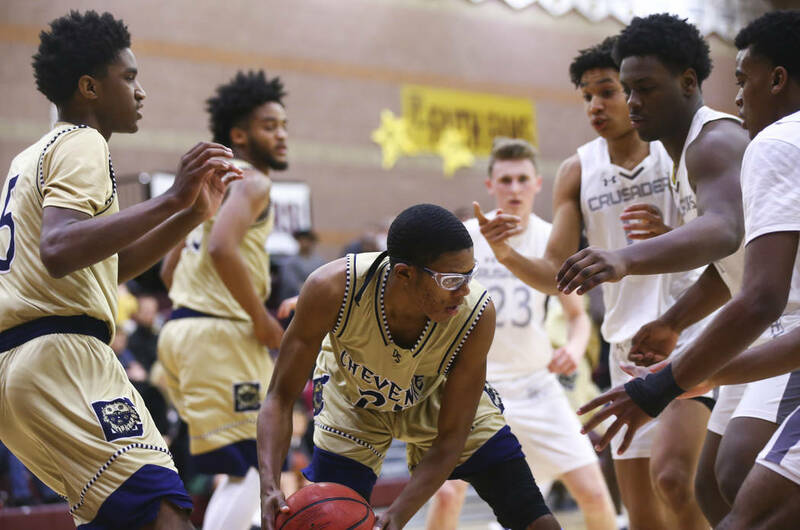 Cheyenne’s Mike Reed and Glenn Taylor made 3 of 4 free throws in the final 15.2 seconds to preserve the win. 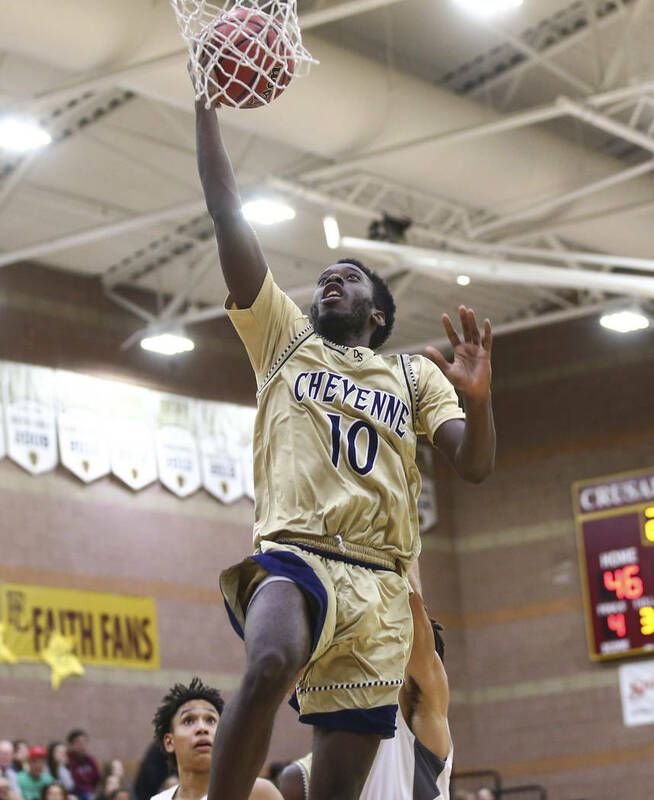 Taylor poured in 34 points on 12-for-19 shooting to lead Cheyenne. Tommie Lindsey added 18 points. Reed scored 15 and Damion Bonty added 13 points for Cheyenne. 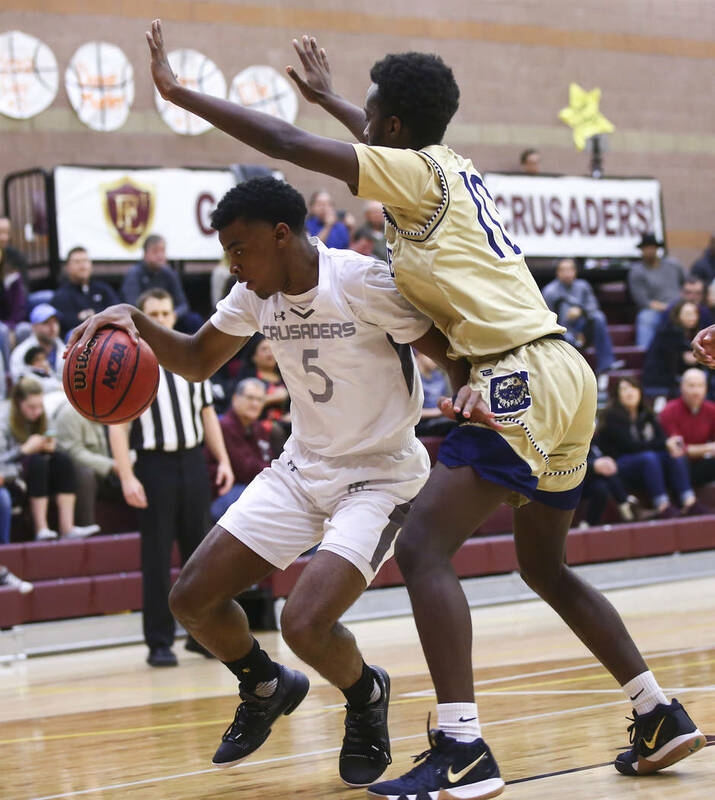 Donavan Jackson led the Crusaders with 20 points. 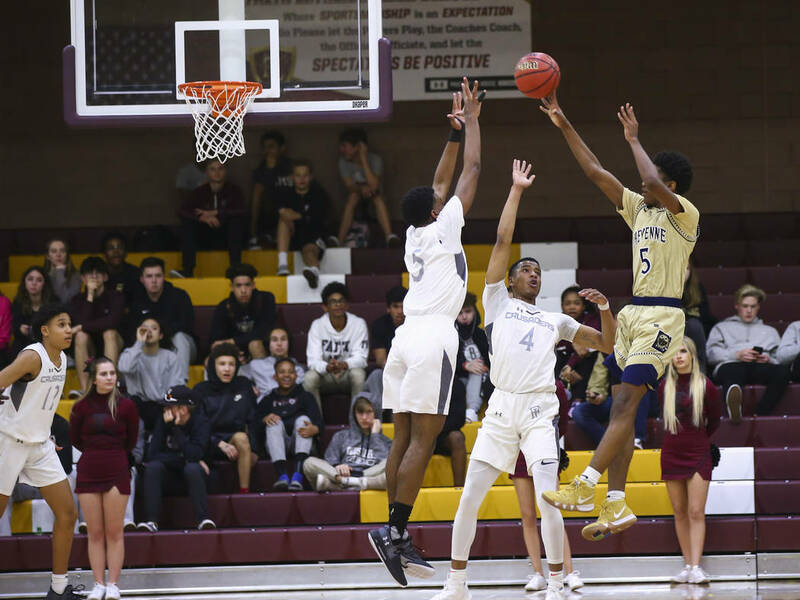 Walter added 18 points and Sedrick Hammond scored 17 for Faith Lutheran. 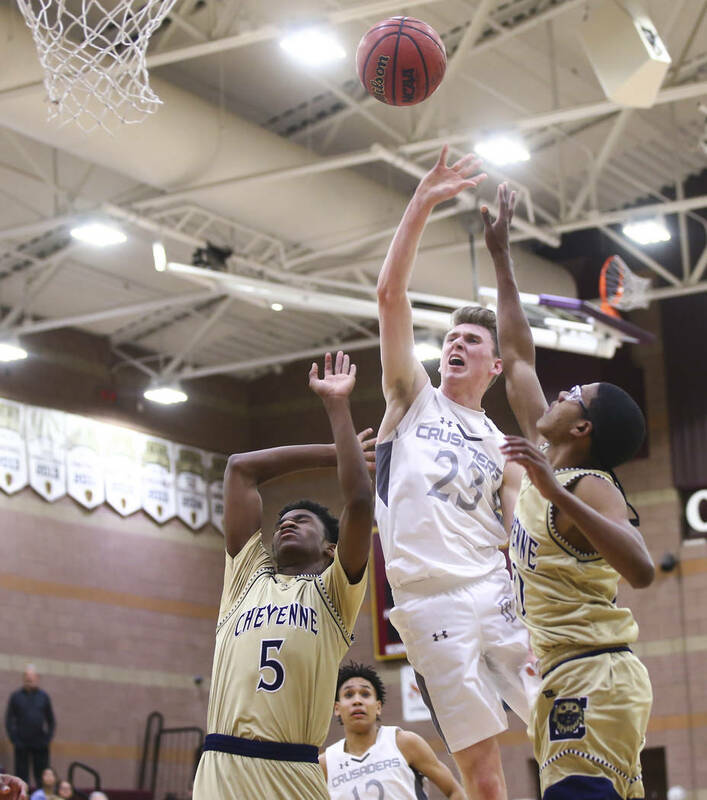 Palo Verde 80, Canyon Springs 48 — At Canyon Springs, Conner Peterson scored a game-high 25 points to power the Panthers past the Pioneers. Kade Madsen had 13 points, and Antonio Maillaro added 11 points for Palo Verde, which drained 11 3-pointers. 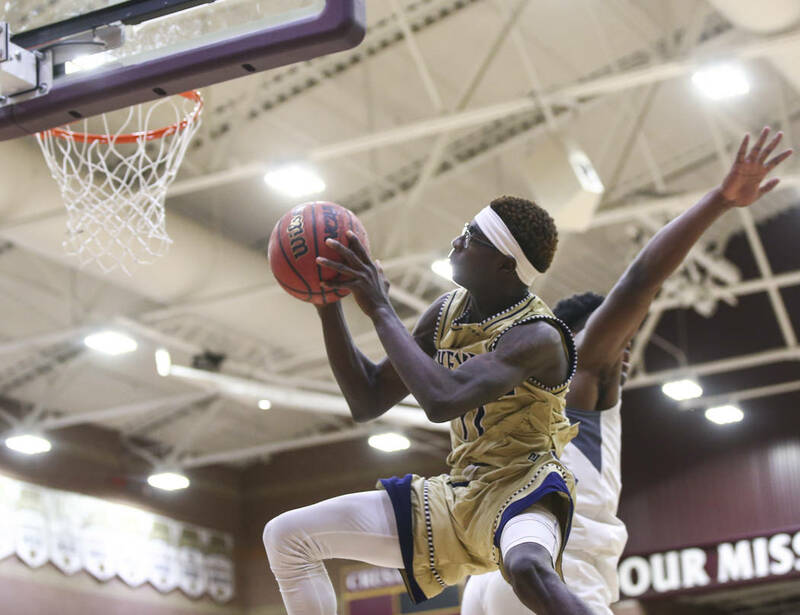 Tha Panthers (14-14) play at Centennial (16-9) in a quarterfinal at 6:30 p.m. on Friday. 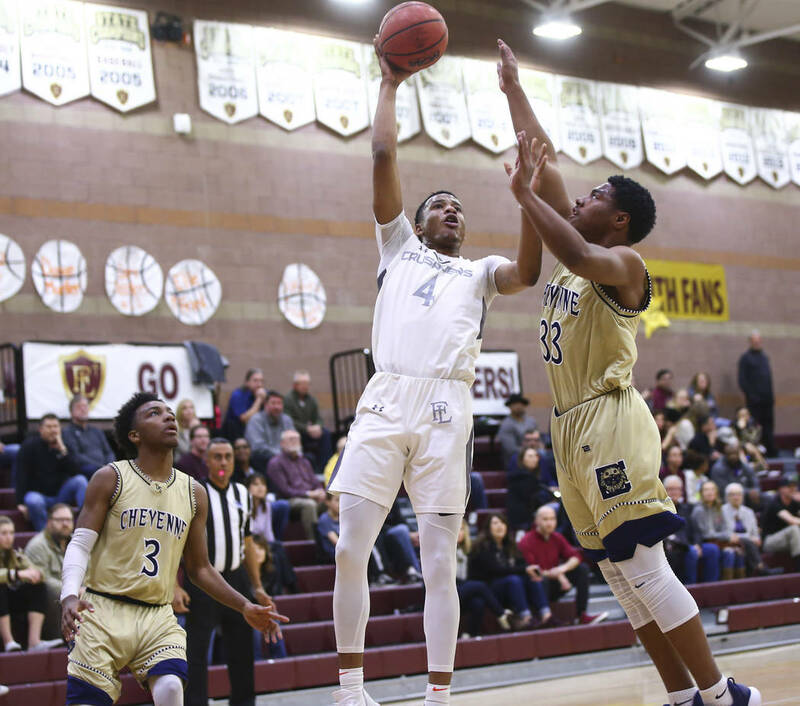 Alexander Spaight scored 13 points, and Mervin Soares supplied 11 points for Canyon Springs (16-7). 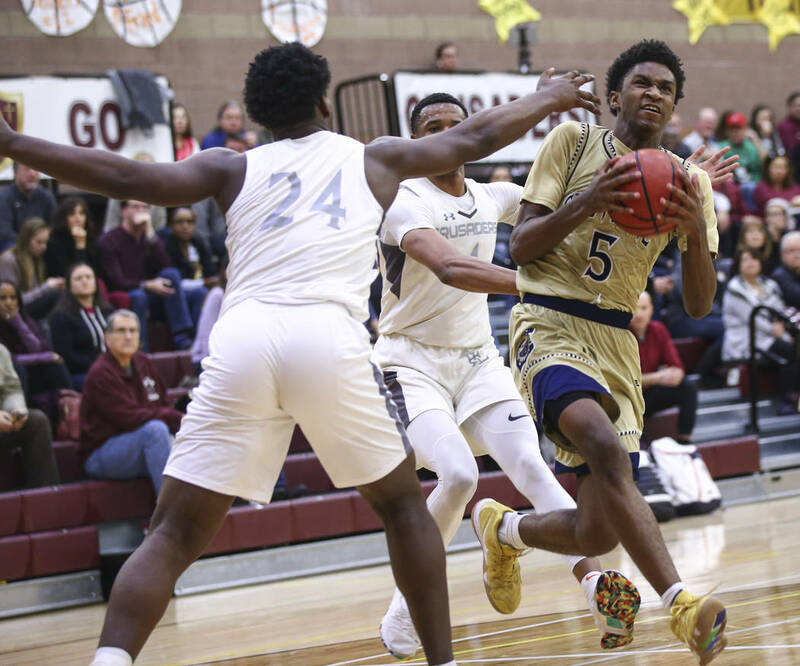 Shadow Ridge 79, Bonanza 77 — At Shadow Ridge, Garin MacFarlane scored 24 points, and sank two free throws with 17 seconds left for the game’s final margin as the Mustangs nipped the Bengals. 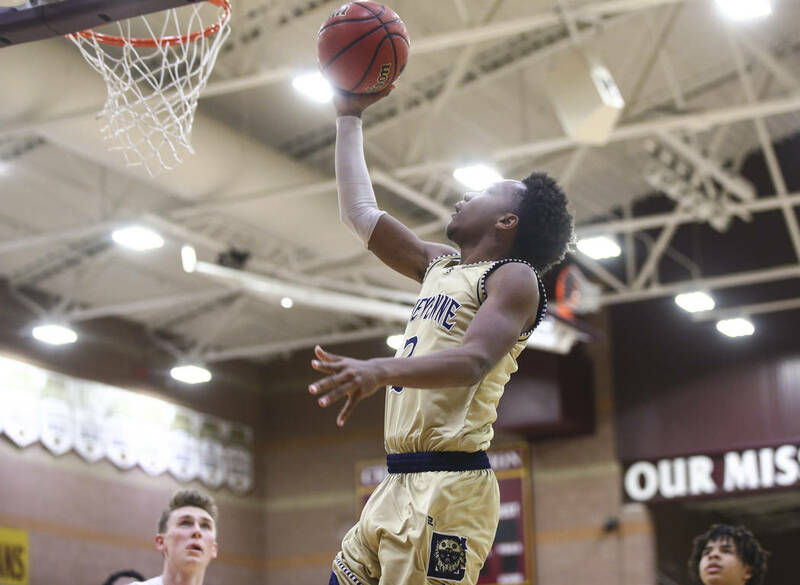 Erin Chamble had 22 points, and Quinshon McGee added 10 points for Shadow Ridge, which trailed 41-31 at the half. 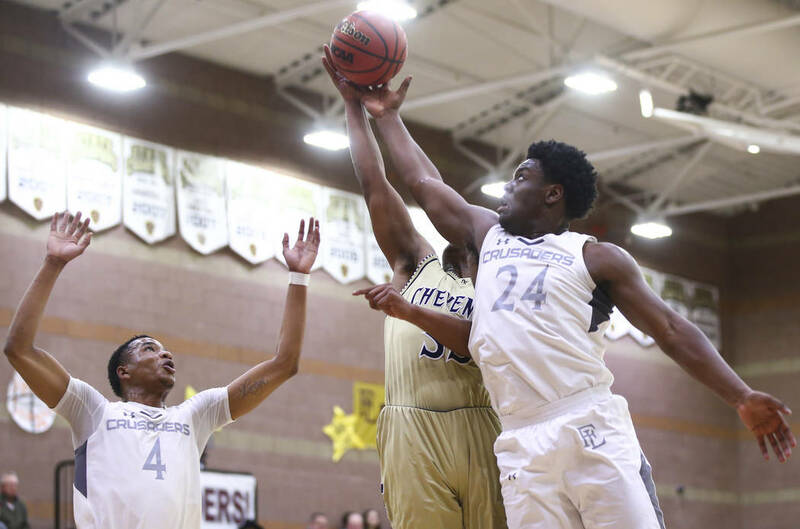 The Mustangs (15-11) play at Arbor View (20-7) in a quarterfinal at 6:30 p.m. on Friday. 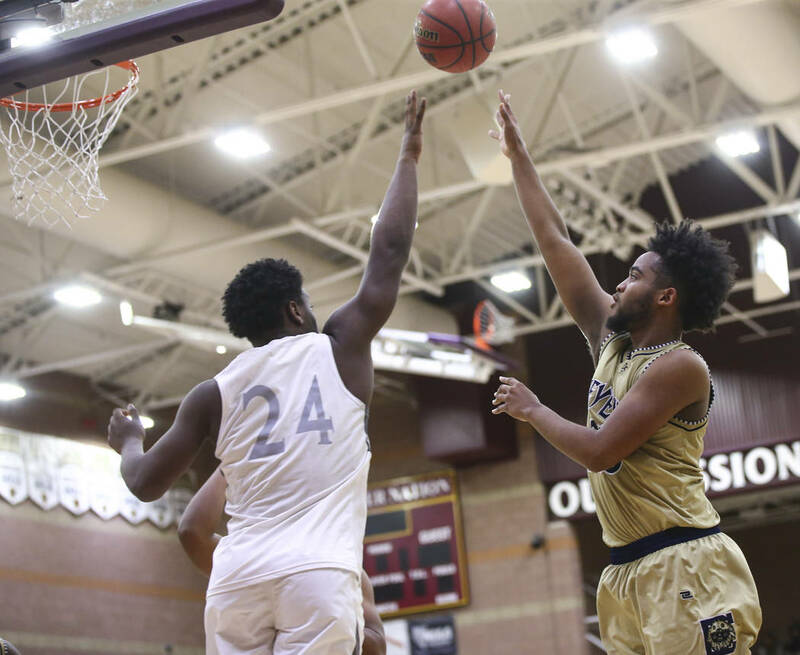 Kendell Burrell scored 22 points, and Joseph Brooks had 20 points for Bonanza, which sank 13 3-pointers. Trent Savage and Ian White each supplied 14 points for the Bengals (14-14). 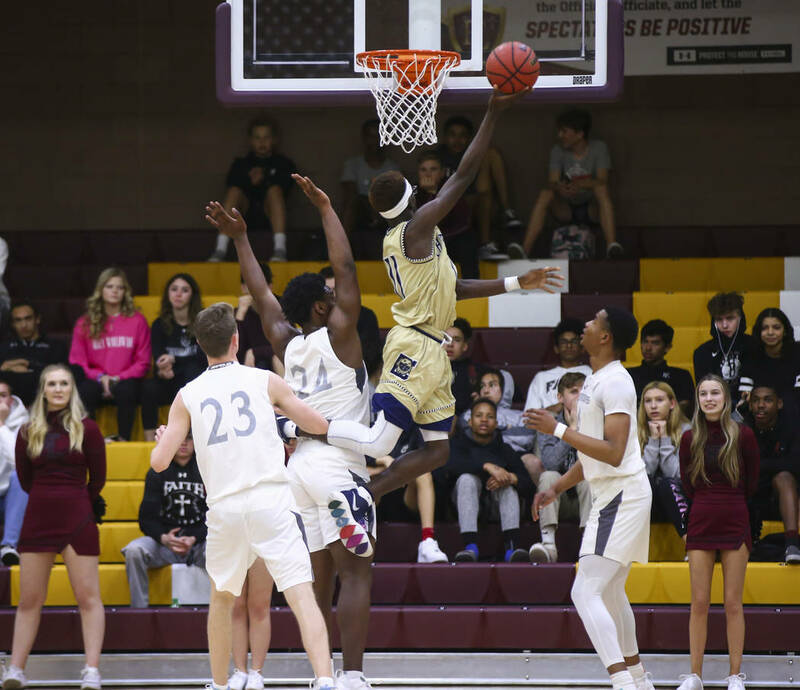 Las Vegas 68, Cimarron-Memorial 63 — At Las Vegas, Robel Negasi hit a three pointer with 45 seconds left in overtime and John Simms made two free throws with seven seconds left giving the Wildcats the win over the Spartans. Jaylin Headen led Las Vegas (10-17) with 23 points and teammate Fernando Carmona scored 10. 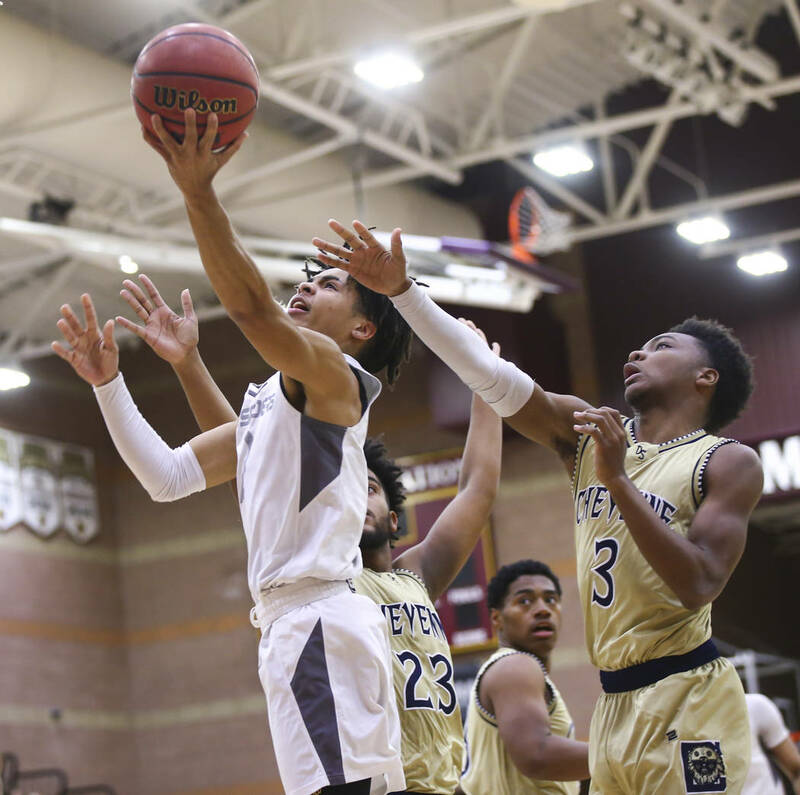 Isaiah Armstrong scored a game high 24 points for Cimarron (11-18). Brian Lang added 15 points for the Spartans.